I received Every Piece of Me: Shattering Toxic Beliefs and Discovering the Real You by Jerusha Clark from Baker Books in exchange for a review. This book covers topics every woman needs to reflect upon. Our thinking processes require constant supervision and adjustment, and these chapters remind us what to observe and how to take action. Jerusha Clark takes common struggles and explains how they work, how they affect us, and how we can better align those thoughts to the perspective Jesus teaches. Despite these representing issues most people experience in everyday life, they don’t exactly hold the everyday applicability. The writing style comes off a little dry and slightly inaccessible. However, the message still holds clarity and strength. It even goes a little deeper than some of the more accessible books, so that makes a nice contrast. I recommend this to someone who doesn’t need the warmth other titles offer. I received a copy of Developing Emotionally Mature Leaders: How Emotional Intelligence Can Help Transform Your Ministry by Aubrey Malphurs from Baker Books in exchange for a review. This book covers a lot of technical information. It carries more the cold feel of a textbook rather than the welcoming warmth of a typical Christian living book, which I partially expected upon starting. I appreciate the effort of explaining the history and definitions of this complex subject. Malphurs describes in-depth without making the information inaccessible to the average person. While this targets church leaders and likely benefits them most, laypeople like myself can make use of this knowledge as well. While the information remains accessible to the average reader, I find myself wanting more application. An extra insight as to how to use this knowledge properly would have been beneficial. The several appendixes in the back give a good starting point for this with quizzes and extra information. However, an epilogue or something similar with more steps on how to move forward might encourage readers truly to apply this knowledge. Considering “developing” starts the title, it seems like the book hints at going beyond textbook knowledge. I received a copy of Reading People: How Seeing the World through the Lens of Personality Changes Everything by Anne Bogel from Baker Books in exchange for a review. I love this book and , even more, I love that this book has led me to Anne and the Modern Mrs. Darcy Book Club. Reading People appeals to my interest in understanding personality and people on a deeper level. While it covers a lot of information I have already read (I’ve read numerous books about the Myers-Briggs personality typing), it gives a wonderful overview of various approaches. I recommend it as a place to start and as a resource for books to continue research. I agree with Anne that understanding these can help you understand yourself better and therefore know your strengths and tendencies and how to cater to those as you structure your life for success. Anne makes this information accessible and interesting for anyone, an accomplished feat considering the complexity of the subject. Her voice welcomes readers into this informative world in an enlightening way that truly highlights the wonderful aspects of understanding personalities and ourselves. I love how she does this. Again, I love this book. From here, I plan to continue reading more in-depth books on each approach as I make my way through her resource list to add to my current collection of similar books. I recommend it as a refresher and as a place to start whether you want to explore all the approaches or just certain ones. As a side note, this book led me to Anne’s Modern Mrs. Darcy website, What Should I Read Next podcast and Modern Mrs. Darcy Book Club. My book arrived the day I moved from Houston, Texas to Bowling Green, Kentucky. I read the author bio on the back and noticed she lived in Kentucky too. Then I saw the pages in the back that led to her websites. I ended up joining the book club and meeting some wonderful people and books as I got settled in my new city. Last night I even had the pleasure of meeting Anne and some of the book club members in the Nashville area, and we had great bookish conversation and a book swap. In short, I recommend checking out Anne’s resources and recommendations. She has a gifted eye for those. I received a copy of One by One: Welcoming the Singles in Your Church by Gina Dalfonzo. Gina Dalfonzo approaches a highly important topic in today’s culture in her new book One by One: Welcoming the Singles in Your Church. As a single adult, Dalfonzo has spent numerous years observing and experiencing the church’s approach to its single members. As a young adult single, I could relate to most of what she said. Dalfonzo tackles her topic from numerous angles, ranging from sharing singles’ feelings of being left out of a generally family oriented culture to suggesting how the church might incorporate singles into ministry. At first I disliked the way she shared so many paragraphs of examples taken from her surveys of singles. I didn’t want to read a bunch of seemingly unconnected, brief notes from numerous people. It also didn’t seem like they were incorporated in the expected manner (an introduction to the person and the quote), but after a while I grew to appreciate the thoughts of so many singles. I found they didn’t necessitate high credentials to represent the plight of everyday people found in every church. It kept it on a realistic level, allowing me to continue to find myself amongst those singles. Overall, the points made stayed spot on. Dalfonzo captured the negative feelings a lot of singles have felt as an unintentional effect of how some people approach them (even with good intentions) and how the church steers their belonging in groups and ministry. It brought to light a lot of disappointment and how people can unintentionally compound the pain of searching for a mate. Hopefully it helps people see how to better approach how they “help” singles in their quest for a mate and how they understand their unique set of difficulties. For example, Dalfonzo points out how many married folks may quickly think to themselves that a single doesn’t know the true meaning of busyness since they don’t have kids, etc; however, as Dalfonzo points out, married people might forget that a single person still has a household with an equal amount of chores that they must do alone since they don’t have a mate to assist with the work. Most importantly, she shares that people tend to forget that finding a mate isn’t as simple as believing in God and creating an online dating profile. Dalfonzo highlights the plight of the often overlooked singles in the church, but she also points out positive ways the church has viewed singles. She goes further to suggest ways to deepen their involvement in the church, thus keeping them strong in their faith as they wait for a mate and as they serve in the church. 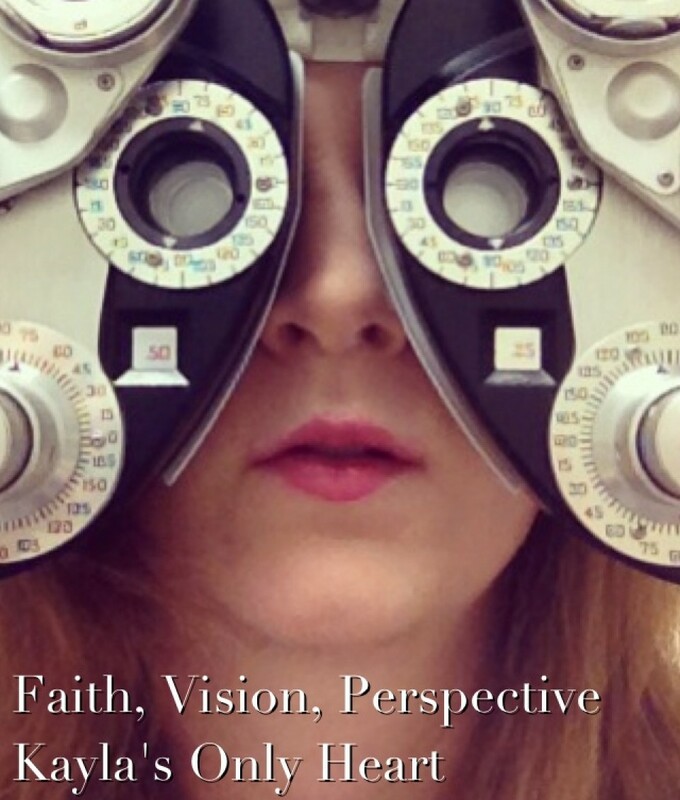 As she points out, a single person can balance out perspectives and have a lot to offer the church in ministry. I enjoyed this book, and it gave me hope as a single person seeking deeper involvement and community in church. I could see this benefitting anyone in the church as it shares an understanding of the experience of the single person and how the singles and married folks can contribute to a community incorporating singles. I received a copy of Real Love In An Angry World: How To Stick To Your Convictions Without Alienating People by Rick Bezet in exchange for a review. This book seems fitting for today’s society where so many opinions get tossed around on a daily basis. Without fail, these topics enter into our everyday discussions, potentially leaving us wondering how to share appropriately differing viewpoints. Overall, Bezet focuses on staying rooted in the Word and faith. From there we can ensure what we say flows from a godly perspective rather than from our personal feelings. As an example of these roots, Bezet illustrates the story of Moses and the Israelites fleeing Egypt. He reminds us how daily they had to collect their bread in the form of manna. We too have to collect our physical bread and Word bread from Jesus, again on a daily basis. This shapes our minds and hearts and allows us to share love as we reflect and grow. Bezet maintains a casual style, which I mostly enjoy. He comes across as someone having a conversation with you, a fitting approach for the topic. However, a couple of the jokes distract me from the professional tone a book still should uphold. The book overall makes the information accessible and easily applicable. I have enjoyed this book and may revisit points again in the future. The point to stay rooted in daily scripture serves as an important reminder. I also want to reflect how I talk to people and ensure that I maintain approachability, compassion and understanding in my encounters and discussions with people. I received a copy of The Breaker Anointing: How God Breaks Open the Way to Victory by Barbara J. Yoder in exchange for an honest review. Yoder’s book highlights an important message: God will break through to deliver us. God breaks through to do this on numerous levels. These range from bringing us healing to getting us to a point where we can fulfill the purpose for which He created us. As Yoder points out, we can see examples of this throughout history. He did it for Moses, and He does it for us. However, I would have enjoyed a little more descriptive depth to connect to these illustrations on a more personal level. Yoder describes truth but doesn’t paint an emotional picture like most Christian living books tend to do. She does know her message though, and she makes her point with scripture and experience to back it up.